Juventus after sealing a 4-1 win at home against Udinese have sealed the Serie A title. Now they must shift their complete attention to UEFA Champions League home game against Atletico Madrid. The Spanish side holds a two-goal cushion over the Italian champions from the first leg they won at the Wanda Metropolitano. 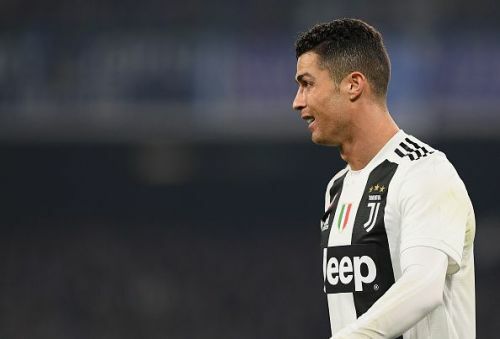 The loss came as a shock to everyone as Juventus were tipped as one of the favorites to lift the Champions League this year with Cristiano Ronaldo rallying by their side. In the second leg of Round of 16, we have witnessed some massive turnarounds. The holders, Real Madrid were knocked out by AFC Ajax whereas Manchester United eliminated Paris Saint Germain in some fashion. By the looks of it even Juventus can overturn this tie with a dynamic performance. Here we take a look at three things Juventus needs to do in order to progress to the quarterfinals of the UCL. Massimiliano Allegri may want to start the game with a three man defence. Giorgio Chiellini and Leonardo Bonucci will be accompanied by one of Daniele Rugani, Martin Caceres or Leonardo Spinazzola as Andrea Barzagli no longer looks like a viable option as he went off injured against Udinese. Allegri also must stick to the three-man defence set up as he has only one natural full back available for the game against Roji Blancos. With De Sciglio injured and Alex Sandro suspended, only available full back at Allegri's disposal is Cancelo. The Juventus defenders were not upto their usual standards against Atletico Madrid in the first leg as they conceded twice from set pieces. Apart from set pieces, the Old Lady's defence was breached quite a few times by Antoine Griezmann, Diego Costa and Alvaro Morata. In fact, they were lucky enough to have Morata's goal cancelled by VAR. 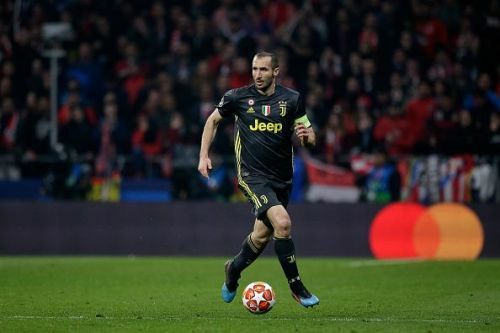 The Juve defence will have to be flawless against Atletico if they want to have any chances of overturning this tie and securing a berth in the quarterfinals of the Champions League. The veterans, Bonucci and Chiellini will have to make sure that Szczesny is well guarded and they do not concede.